Enfamil Enfacare BUY Infant Nutrition, Mead Johnson, Infant Formula, New Born Formula, 001904, 128701, 139001, Enfamil. 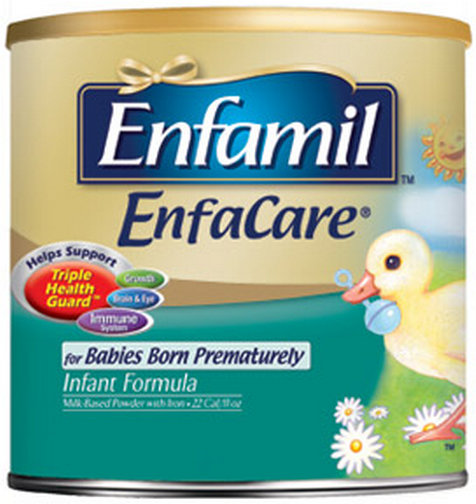 Enfamil EnfaCare by Mead Johnson is a milk-based discharge formula designed with extra amounts of important nutrients for the Nutritional Management of infants born prematurely or with low birth weight. 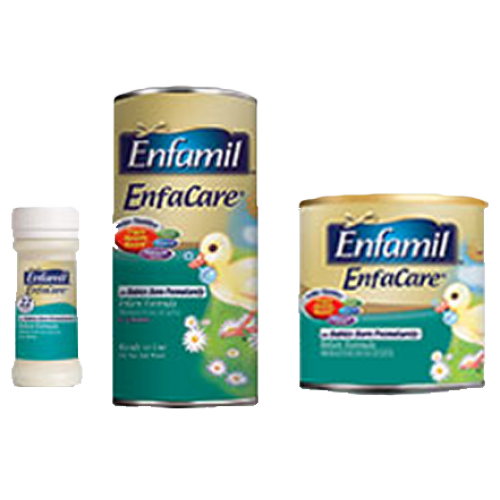 Enfamil Enfacare is typically used for infants from approximately 1800 grams in weight and can be used through the first year of life (consult a medical professional). Enfamil EnfaCare contains 20 to 22 calories per fluid ounce, with 2.8 grams of protein per 100 calories. Enfamil EnfaCare also features DHA and ARA, nutrients found in breast milk which promote brain and eye development, as well as extra vitamins and minerals, and an easy-to-digest fat blend. Premature infant and low birth weight formula. 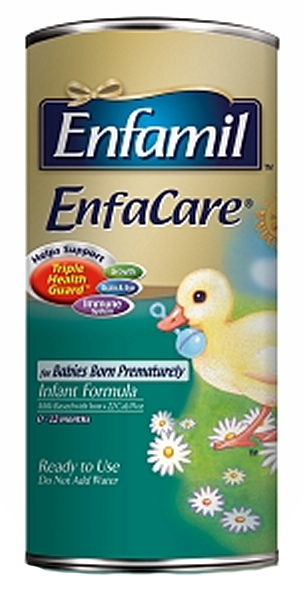 Enfamil EnfaCare Product Numbers: 001904, 128701, 139001. Application: Premature Infants and Low Birth Weight Infant Formula. Available in powder or ready-to-use liquid. Calories 20 to 22 per fluid ounce. Higher levels of some vitamins and minerals. High-level 2.8 grams protein/100 calories. DHA, ARA and free nucleotide levels patterned after breastmilk. 20% of Fat Blend from easy-to-digest MCT oil.